This is one of the optional toppings for the Luxury Guacamole Bar. 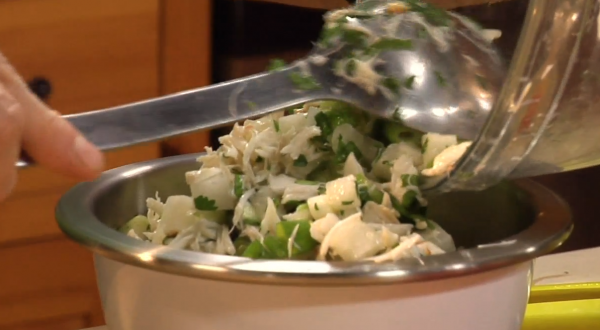 In a medium bowl, combine the crab, jícama, green onion, cilantro and lime juice. Taste and season with salt, usually about a generous 1/2 teaspoon. Cover and refrigerate. In Chicago, where I buy the crabmeat already in a bag like the bag that Mr. Bayless had on his show.